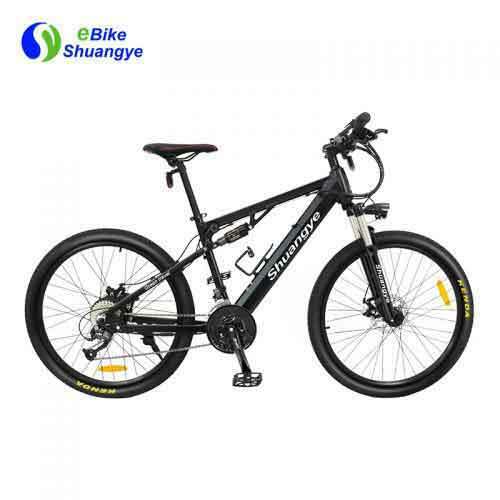 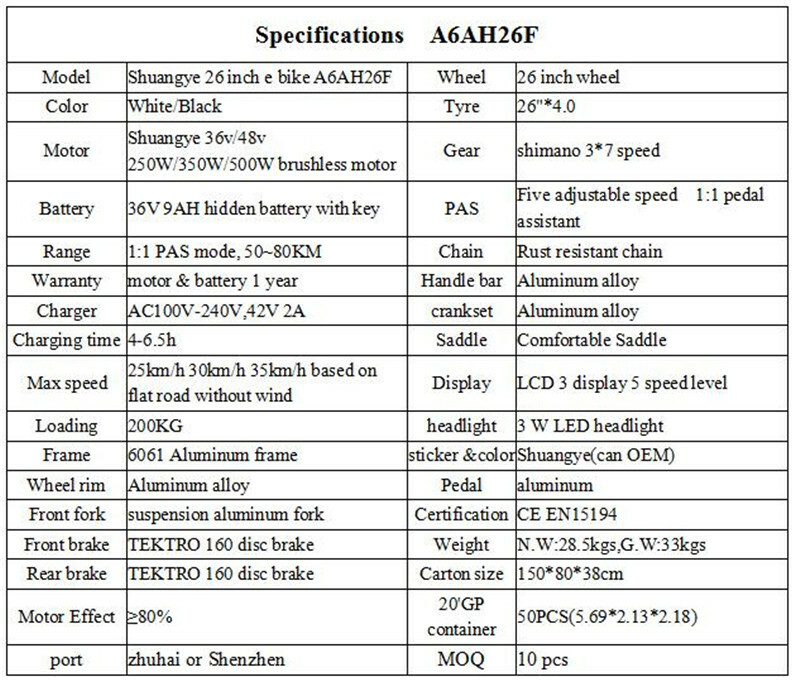 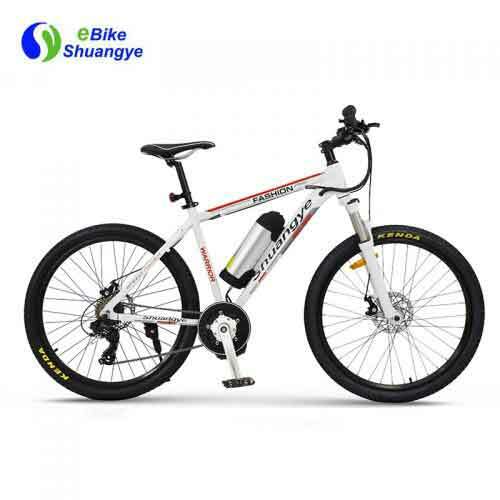 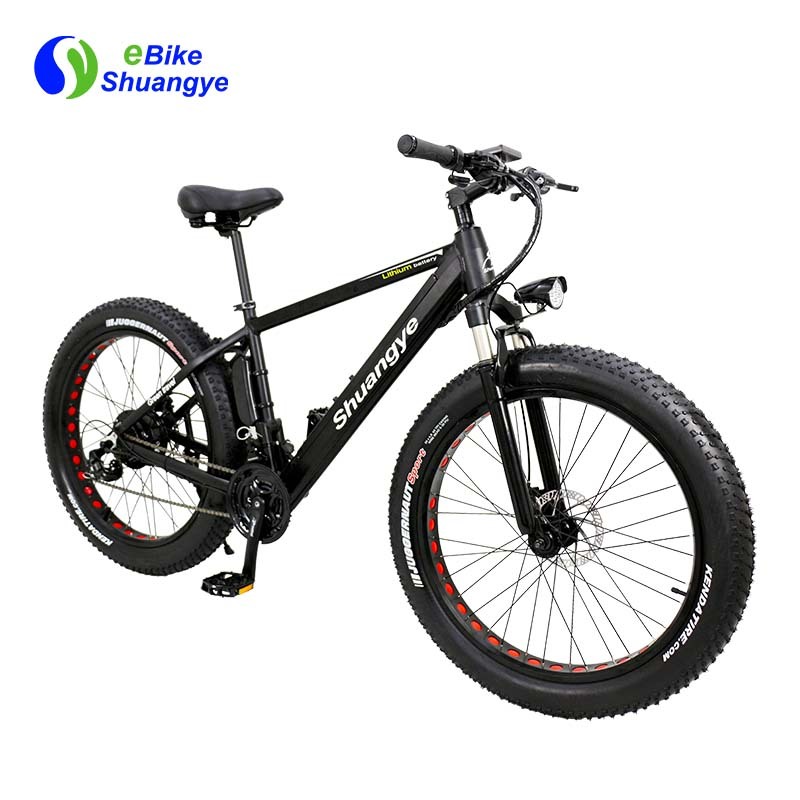 Since 2006 Shuangye electric fat bike have been making quality bikes that are light and comfortable. 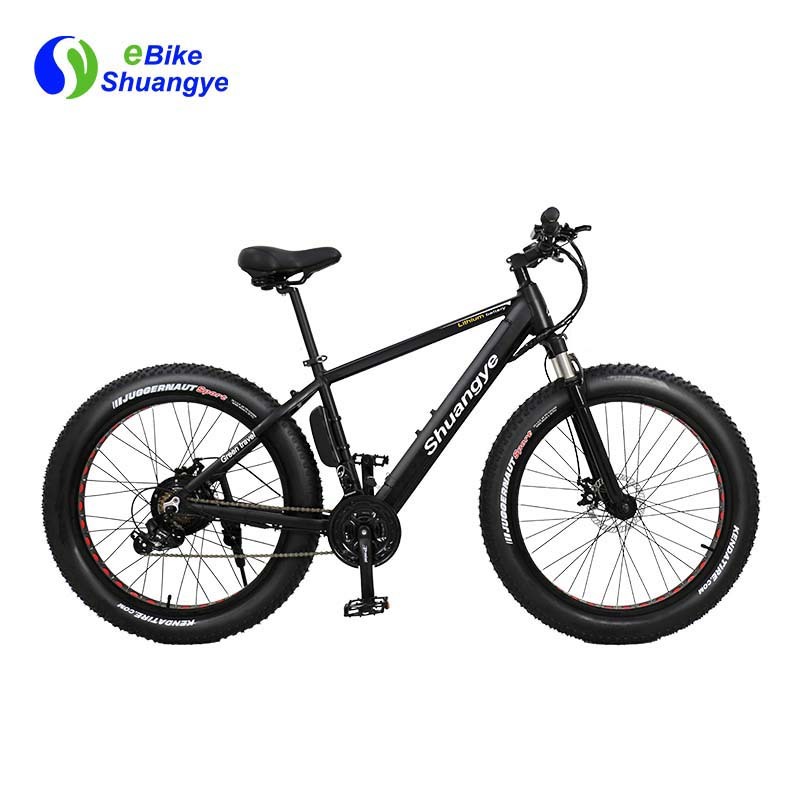 As a market leader in the Zhuhai, Shuangye has been a leader in innovations that make cycling easier and more fun – enjoy the feeling of having a tailwind all the time. 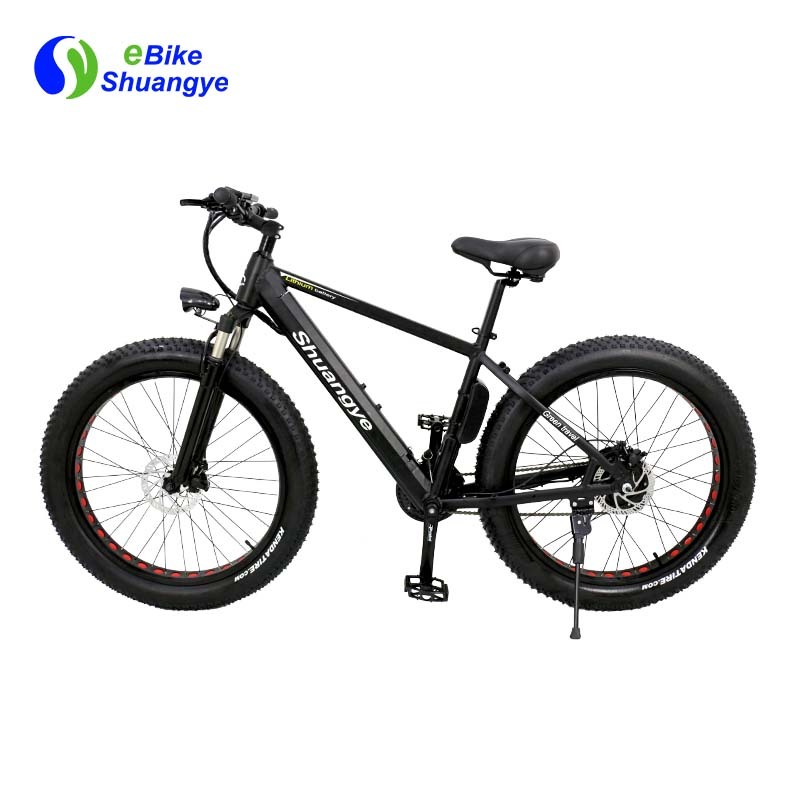 A electric fat bike from Shuangye provides the perfect combination of easy riding, clever design and robust quality, with a choice from two batteries each with a different capacity and range. 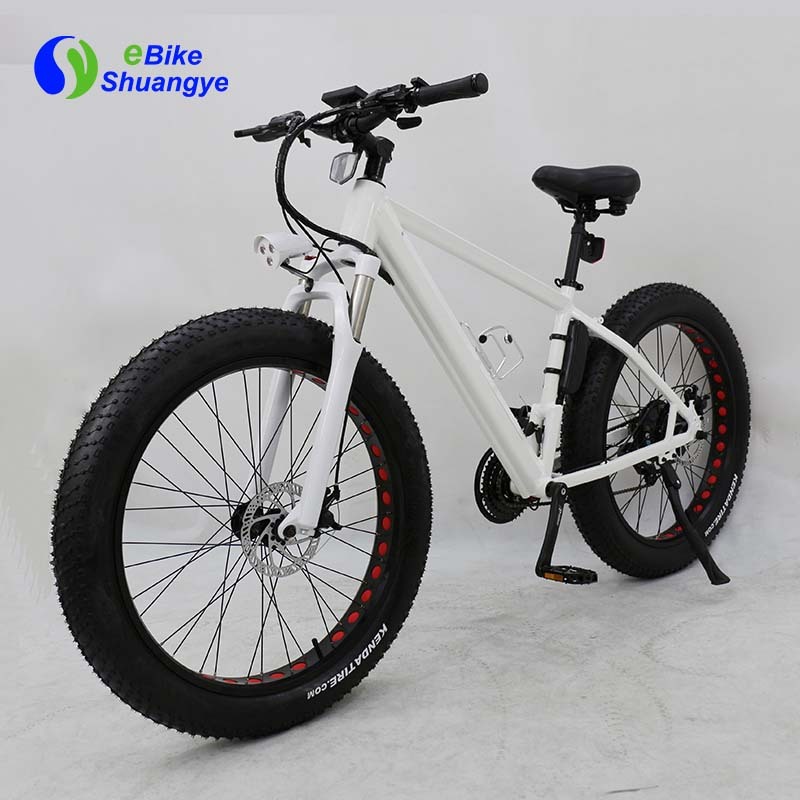 Electric fat bike uses 26″*4.0 KENDA fat tire-one of the best brand of China,it can let you drive free on the beach or snow floor, and ensure the quality and safe. 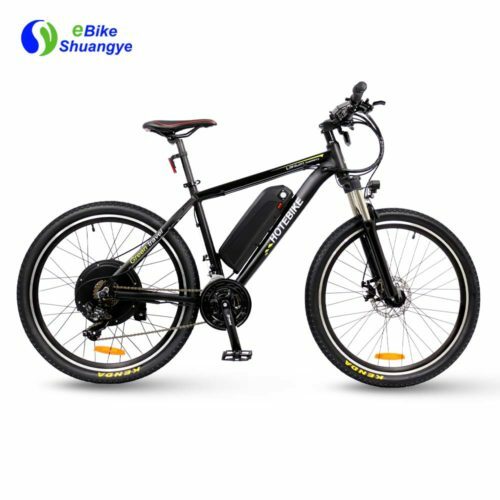 Electric fat bike’ hidden battery offering a range of up to 35 miles from just one single charge of the battery, our bikes are more than capable of getting you to your destination and back with ease. 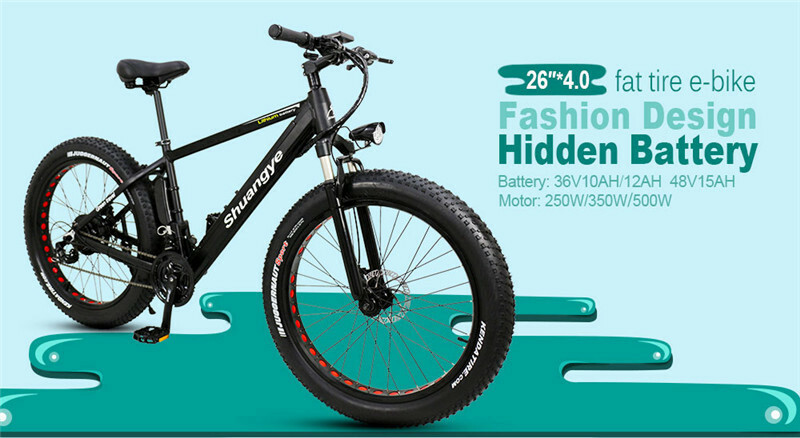 Hidden cables: Our electric fat bike electronic circuitry is concealed neatly within the bikes lightweight frame. 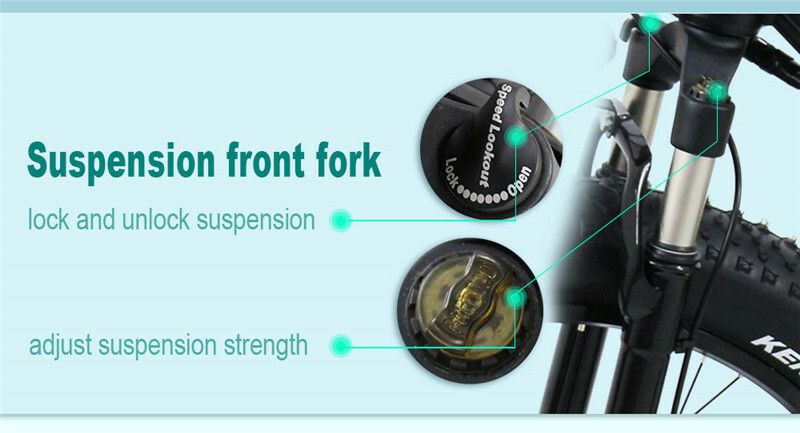 This helps to reduce the chances of electronic cables getting caught, snagged or damaged whilst on the move.Ａ large screen LCD display shows useful data such as remaining battery life, distance traveled and speed. 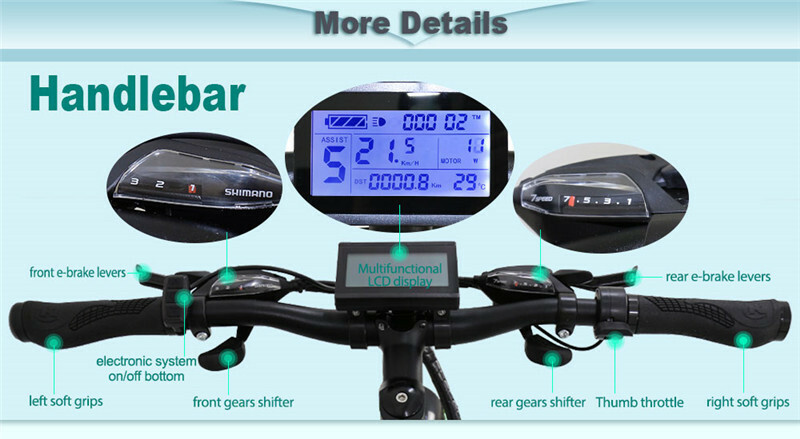 It even features a handy rear light.